70 to 0 in three days, like a reverse Bugatti. Thanks, November. To stave off a late-night case of the flu and use up all of the ingredients in my now-inoperable refrigerator, I whipped up some bacon caramelized onion, ham, and pickled mango arepas the other evening with Masarepa and La Morena pickled jalapenos; easy and very low maintenance. 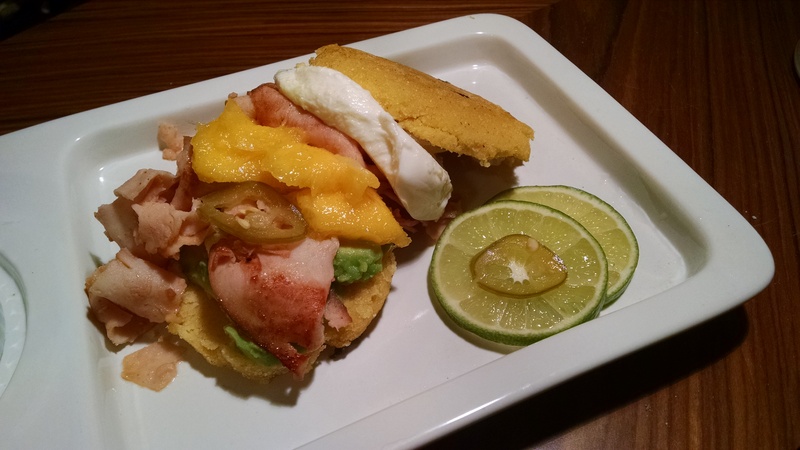 The components are easy, umami-laden, and can be swapped out like any other sandwich- meat, cheese, pickles, vegetables, and a two-minute homemade cornmeal bun. As soon as I saw this campaign, I knew I wanted to tie it into my plans with John for winter break. We’re hitting up Miami in January, presumably to eat our way through the dive bars of the Magic City and stuff ourselves full of Cuban sandwiches and cigars, so a sandwich with ham, pickles, and cheese seemed fairly rational in order to #VivaLaMorena. Those plane tickets ain’t cheap, so to keep satiated until then, I’ve been practicing my spiced up recipes. 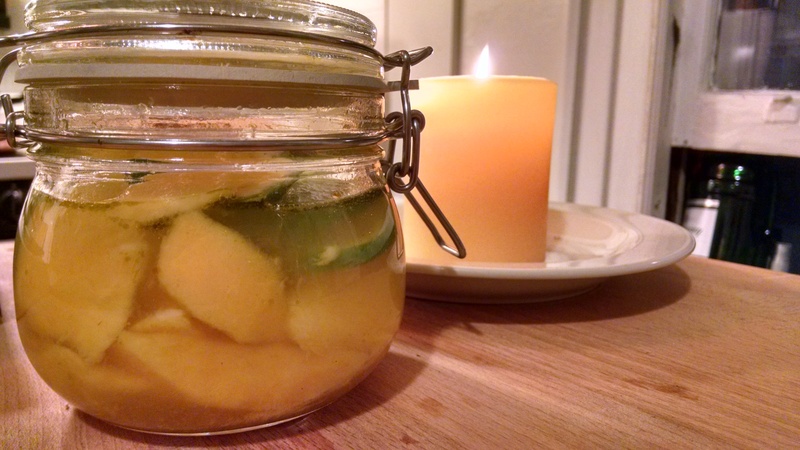 The pickled mango couldn’t be easier, and has the benefit of quick-pickling while the other components are made. It’s a very simple brine adapted from The Kitchn with sugar, La Morena jalapeno pickling juice, water, salt, and chunks of fresh mango sealed in a jar in the refrigerator for an hour or so. The tart and spicy flavor infuses the fruit and can be eaten immediately or stored for up to three days. From there, the rest is just a matter of assembly. 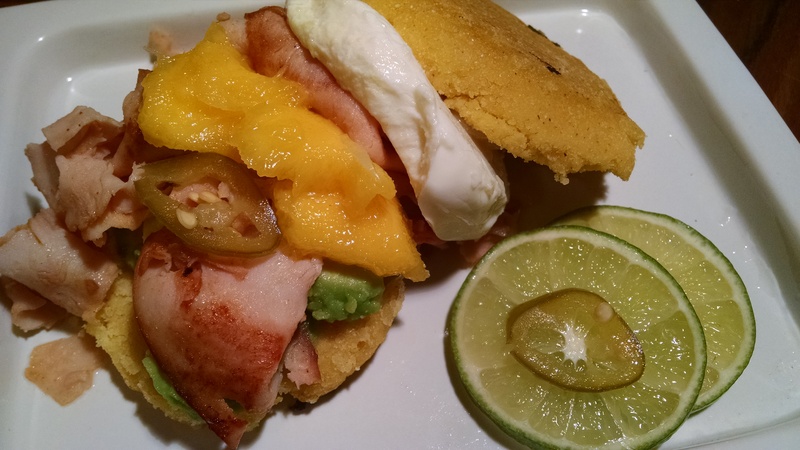 While the arepa patties and onions cook, you can prep the mozzarella cheese, avocado, and slice the lime. I threw mine through the mandoline for more attractive slices. After that, it’s easy to grill the ham, assemble, and enjoy with the mango on top or alongside. The sandwiches store well and can be pressed as panini later on after a stint in the fridge or consumed fresh. 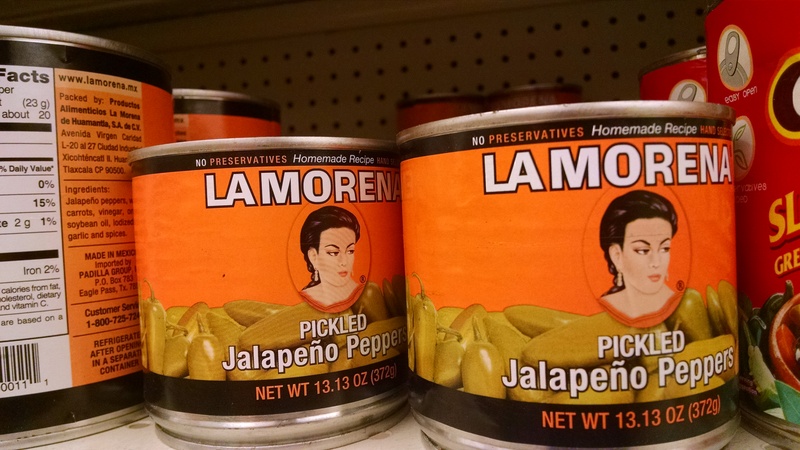 The spice from the jalapenos and freshness of the fruit and meat adds a very zesty, flavorful component. 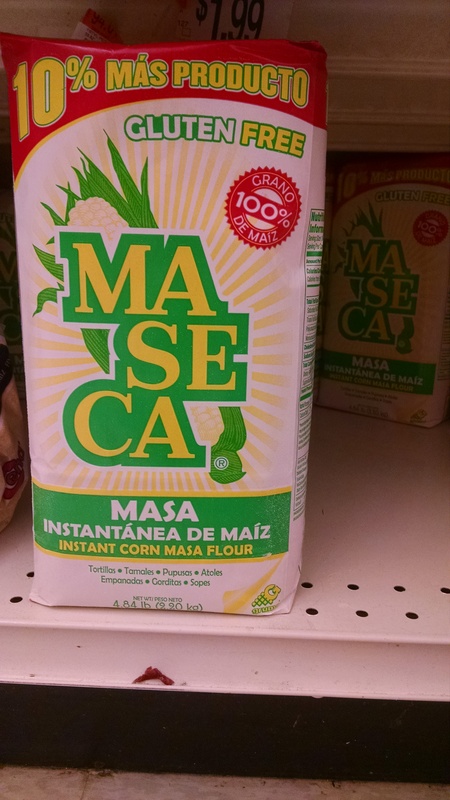 Best of all, the products are easy to find at local bodegas and Hispanic groceries all across Hartford, inexpensive, and allow for a chance to try new flavors with a neat twist.